You instantly recognize my art as a fish, a frog, a beetle or a mask but you're not sure what it is made of. You'll want to touch it, look closer at it and then maybe you'll change your idea of what you think it is. 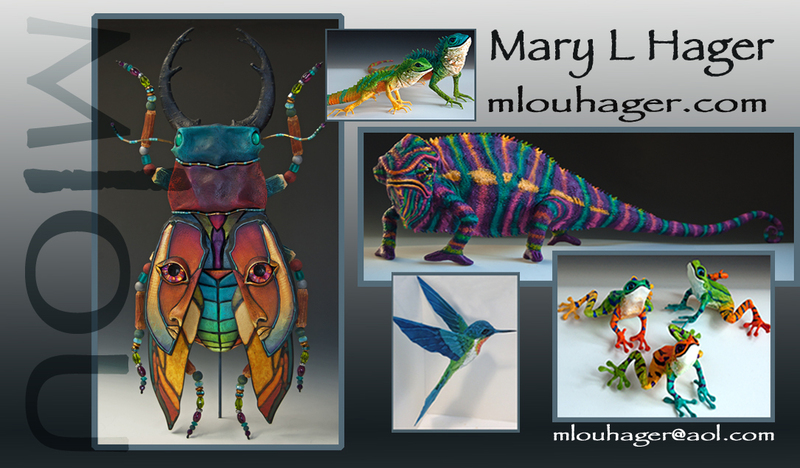 A piece of wood, some paper, some clay, some wire, some beads and all of that color mixed together creates something new made by mlou.